Carnegie Mellon University has received $5.5 million from Uber, a leading technology firm, to support a new faculty chair and three new fellowships in robotics. The gift is part of CMU’s partnership with Uber, which was announced earlier this year and includes additional investment in the university’s robotics and related technologies. 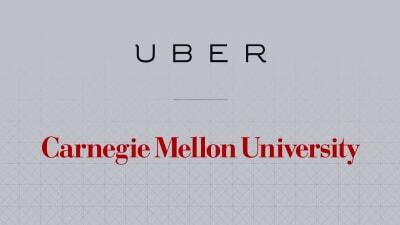 Uber’s commitment to Carnegie Mellon and its growing presence in Pittsburgh, reflect the university’s leading position in robotics research and education. Faculty chairs and graduate fellowships are vital to the twin missions of research and education, and help the university to continue to attract outstanding talent in the robotics field. Over the past several years, Carnegie Mellon’s talented faculty and students have attracted many cutting-edge companies to campus and to Pittsburgh; these include Google, Apple and Disney. Carnegie Mellon continues to grow its robotics research faculty and staff across a variety of programs, centers and institutes. The university’s expanding degree programs in robotics also contribute to the infusion of new ideas that has made Pittsburgh a global destination in the field.